Chief Minister N. Biren Singh today opened the 1st State Level Barak Festival, held under the theme, ‘Sustaining Peace and Harmony’, amidst much fanfare at Mini Stadium Ground, Senapati district headquarters. Speaking at the opening function as the chief guest, N. Biren Singh said that one can’t enjoy the delight of having good roads and owning costly cars if there is no amity among people. Stating that good relationship among people of different communities is of prime importance, the Chief Minister observed that one who respects fellow people would gain love and regard from others as well in return. It is a matter of joy that trust and love among people has been regained after the coming of BJP-led Government in the State, he said. Observing that water is life, and no life is possible without water, the Chief Minister acclaimed the people of Senapati district for understanding the importance of Barak river, which is one of the most important components of the State’s ecosystem. This is the reason why he requested the people of Senapati to allow the Government join hands with the people of the district in organising the festival as a State level event from this year onwards, the Chief Minister said. Biren Singh stated that the Government would take up steps in consultation with the DC and officials of the State Tourism Department to encourage garbage management and plantation of saplings at the origin of Barak and also at some selected villages where the river passes through. He also expressed his strong desire to visit and see the origin of the river. The Chief Minister also expressed his desire to organise the festival in greater scale and more systematic manner with the participation of tourists and cultural troupes from other States and foreign countries from the next year. For this, he directed the contractor and officials concerned to complete construction of gallery of the mini stadium before next year’s festival. Regarding border issues at Dzuko and Tungjoy village bordering Nagaland, the Chief Minister said that the matter can be sorted out without any trouble as there is a very good friendly relationship and understanding among all the Chief Ministers of North East States now. Shri N. Biren Singh said that he is happy that the functionaries of Southern Angami Youth Organization have expressed their desire to meet him. Speaking on the occasion as the functional president, Public Health Engineering Minister Losii Dikho said that like Egypt is the gift of the Nile, Barak River has been playing pivotal role in maintaining a good ecosystem rich in floras and faunas in the State. Observing that requirement of water would increase manifold in coming days, water can be brought to the valley through tunnels, he opined. The Minister also spoke in detail about various projects being taken up by the Government in Senapati district. Consumer Affairs Food and Public Distribution Minister Shri Karam Shyam, Tribal Affairs and Hills Minister Shri N. Kayisii, Agriculture Minister Shri V. Hangkhanlian, Tamei AC MLA Shri Awangbou Newmai, Karong AC MLA Shri D.D. Thaisii, former Minister Shri Francis Ngajokpa, ADC Senapati Chairman Shri M.L. Markson, ADC Members, Secretary (Tourism) Smt. Nidhi Kesarwani, Senapati DC Shri Somorjit Salam, Naga People’s Organisation (NPO) president Shri Solomon Arrow and leaders of five different communities and organisations of the district were also present at the occasion among others. Earlier, soon after his arrival at the festival venue, the Chief Minister unveiled the Barak Monolith and opened the festival with the lighting of the festival lamp using the fire taken from the first position winner of the traditional fire making competition. Colourful cultural items of different tribes of the district were also presented at the function. The dignitaries also visited the Morungs (traditional huts) of five communities of the district viz. Mao, Maram, Poumai, Thangal and Zeliangrong constructed at the festival venue. Miss Barak contest, Barak Voice Hunt, musical night, DJ nite, traditional car rally competition and expedition/trekking to Barak origin at Liyai Khullen are the main attractions of the festival this year. Surprising the government, large number of people mostly women and students stage torch rally at various part of the valley districts of the state on the evening of Nupi Lan Observance Day. 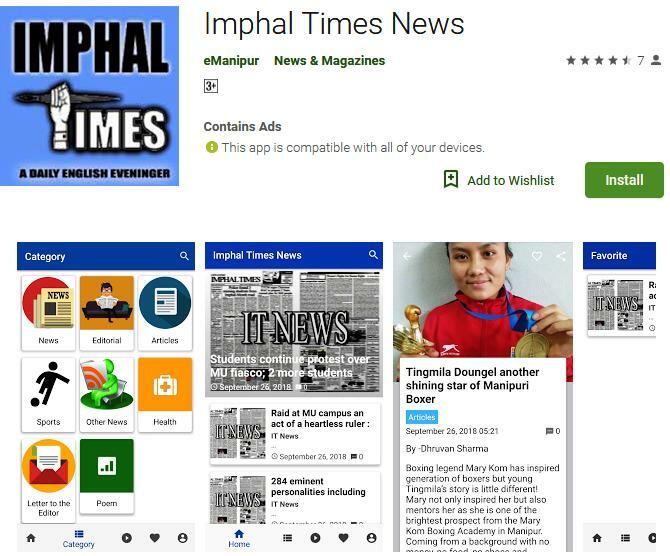 Imphal Times received report about such rally being staged at Imphal West district, Imphal East District, Thoubal district, Kakching district and Bishnupur district. The mass torch rally was organised by the Socialists’ Students’ Union of Manipur (SSUM) with various demand to the government. As per the slogans of all the rally staged at various places the demand were similar. The demands includes includes decommissioning of Thai Barrage and Mapithel Dam, Legislation for complete prohibition of alcohol and drugs, settlement of Indo-Myanmar border dispute, immediate halt of all natural resources extraction from the soil of Manipur, Protection of the sacred Kangla, preservation and protection of indigenous rituals places, Shifting of Army camp from Manipur University campus , compensation for farmers who face drought, compensation for farmers of paddy field which have no irrigation channel and framing of a legislation for protection of the Indigenous people of the state. General secretary of SSUM Bushan Longjam while talking to this reporter said that the mass rally was stage at 400 localities of 350 places at both urban and rural area. “This is the second Meira rally held. The first was held on Nov. 22”, Bushan said. The rally organised by SSUM yesterday evening was openly supported by the All Metei Pangal Students’ Union of Manipur (AMPSUM). The AMPSUM also organised the torch rally at various area of Lilong in Thoubal district with the same demand carrying banner with portrait of Hijam Irabot. Manipur Pradesh Congress Committee (MPCC) today celebrates the victory of the Congress Party in three states of the five states assembly election. The defeat of the BJP in all the five states has been term as fall of the saffron regime stating that the result is significant and it shows that Congress and it’s like minded party will be coming to power in the upcoming parliamentary election. Leader of the Congress Legislature Party Okram Ibobi Singh while speaking on the occasion stated that after four and half years rule by the BJP led NDA government the people now realized that the BJP has been fooling people by making false promises. “I already said that you can’t fool the people by making false promises, the outcome of the just concluded election is the reason of the false promises”, Ibobi said that. He further added that in democracy people is the supreme and false promises cannot last long. The result of the recent election is the fall out of the false promises. On the conversion of the Look East Policy to Act East Policy and the frequent visit of the Union Ministers, the CLP leader question what changes had been done for the development of the North East region. The problem of Manipur University which lasted for over three months and the undermining of the state by the BJP central leaders have also been highlighted, by the former Chief minister. “Why it took so long for the government to finish the issue of the Manipur University?”, Ibobi said. “The court intervention to the MU is because of the inefficiency of the state government”, he added. The central attitude towards the state is also questioned by the CLP leader and said what have the Union Ministers who have visited the state done for the state of the Manipur. MPCC President TN Haokip also stated that the Congress party will return back to power. Members of Juvenile Justice Boards of Manipur (JJB) today submitted an ultimatum to the Director of the Social Welfare department demanding release of fund for maintenance of the office and child related expenses on or before December 20. “The department of Social Welfare is demanded to release the pending funds before 20th December 2018 otherwise further agitation or protest will be sorted out”, a memorandum submitted to the director threatens. The Members of the Boards are taking vital role in handling the cases of Juveniles in Conflict with law as persons who are empowered by law as belonging to the body of presiding officers. As per the ultimatum submitted to the director, the entitled allowances for the Members (JJBs) beginning from the month of April 2017 (90% central share) have not been released until today. Further, the 10% allowances of State Share for the JJBs have not been released from the month of April 2016 until today. Besides, the office maintenance and child related expenses beginning from the month of April 2017 (90% central share) have not been released until today. Further, office maintenance and Child Related Expenses of 10% State Share beginning of April 2016 have not been released until today. Under this circumstance, the Members are beyond our capacity to deliver services without any pence to expense for our daily needs. The ultimatum was submitted after deliberation over the matter by the members of the Juvenile Board.